The water crisis in New Mexico is overblown. We actually have a reasonably lively water market, and it is superior to those in most states. Professor Micha Gisser discusses the development of our water rights, impediments to improving them and ways we might reduce those impediments. Micha Gisser is senior fellow at the Rio Grande Foundation and Professor Emeritus of Economics at University of New Mexico. He has written extensively on energy and natural resource economics. It is unfortunate that during the drought we suffer from inordinate attention from politicians and laymen given to a “water crisis” that does not exist. In what follows I attempt to first show that we have a sound water system in New Mexico which is based on water markets in which private water rights are traded, and, second, to shed light on some of our problems that are basically minor. New Mexico has superior water rights when compared to all other states in the Southwest United States. During most of the 20th century, farmers, manufacturers, miners and municipalities have traded thousands of water rights in a lively market. Economic growth will undoubtedly intensify the future demand for water. Since water is a scarce resource, the “bad” news is that with a relatively fixed water supply facing New Mexico, water prices have only one way to go-up. The “good” news is that users can easily incorporate the trend of rising water prices in their benefit-cost calculations and adjust accordingly. While water is scarce as indicated by its rising price, there is no way government could legislate away the scarcity. Implying that A decreases his diversion by 100 acre feet, and B increases her diversion by 200 acre feet. Interestingly, basing water rights on consumptive use is efficient from the standpoint of economic theory. Users are guided by the price of water, which indicates its scarcity. When they voluntarily exchange rights in the market, water tends to flow towards the highest value use. This promotes conservation and economical use of water. Adjudication is a legal process of determining the relative priority dates of water rights, and their quantification. Seniority gives the user a better priority. Quantification is an on going process, mainly because it is based on the farm practices of the day. For example, in the late 1940s and early 1950s, in the Ogallala, farm land was adjudicated consumptive-use water rights at a rate of 2.5 acre feet per acre and a return-flow coefficient of 1/6. Later, the State Engineer raised the adjudicated consumptive use to 3 acre feet per acre and the return-flow coefficient to 1/3. The adjudication of Pueblos’ water rights is another relevant illustration: In the wake of the New Mexico v. Aamodt (1976), the Tenth Court of Appeals speculated that, on one hand, the United States gave the Pueblos a quitclaim deed to lands recognized by the Treaty of Guadalupe Hidalgo, but, on the other hand, that the Pueblos may have reserved Winters rights. Either way, the Pueblos probably have the most senior rights in New Mexico. Since on the issue of quantification the court failed to provide any clear answer, the Pueblos filed their claims at various district courts, and the adjudication cases are still pending. Obviously there is a backlog of adjudication cases waiting their turn in the district courts. Our courts are over loaded with a backlog of water cases, and they could use additional judges, mediators and clerks. But a Water Court should be created only if a further study could demonstrate that a Water Court is the best way to handle the current backlog. Owners of existing domestic wells pump water whose legality derives from a permit issued by the State Engineer. In the past, this procedure was justified by the smallness of the fraction of domestic wells in total water depletion. With the rapid economic growth leading to intensification in the demand for water, owners of domestic wells tend to treat water as a free good. They should be treated like all other users of the scarce water in New Mexico. Owners of existing domestic wells should be assigned water rights based on past use, say five-years average, so that they incorporate its price into their personal calculus of how much to use, trade or conserve. The water law should also be amended to require persons who intend to become owners of domestic wells to purchase existing water rights from other users, subject to the rules and regulations as promulgated by the State Engineer. The water law should be amended to require that all owners install in their domestic wells water meters acceptable to the State Engineer, for the purpose of monitoring their annual use. The current “use it or lose it” provision in New Mexico’s water law doe not make any economic sense, because it leads to wastefulness, and it should be eliminated. An owner of water rights who for some economic reason cannot use his or her water today, but expects to resume using it in the future, should be allowed to maintain ownership. He or she should be able to either rent the water to other users, or simply curtail using it in the short run and resume using it whenever he or she pleases. The idea of “water banks” is welcome but may not always work: As an illustration, it will work if by reducing the pumping of groundwater by 100 acre feet, the associated aquifer would be enriched by the same amount (adjusted by consumptive use consideration). It will not work in the case of surface-water, unless the owner has access to a reservoir, like Albuquerque. I. Background Information. In New Mexico water rights are well defined based on consumptive use, and are traded efficiently in a lively market. Unfortunately, however, The market for water, however, stops at the border. Contiguous states have different water laws, and their water rights are defined differently. Private water rights are traded neither between Mexicans and New Mexicans, nor among users in New Mexico and users in the contiguous states. The surface water of the two major international rivers, the Rio Grande and the Colorado River are apportioned by treaties. In 1906, the U.S. and Mexico signed a treaty that committed the U.S. To deliver to Mexico 60,000 acre-feet annually from the Elephant Butte Dam. The Elephant Butte Reservoir was constructed at the time for storage and regulation of the Rio Grande so that the terms of the treaty could be met. In 1944 the two countries entered another treaty that (a) guarantees to Mexico 1,500,000 acre-feet per annum from the Colorado River and (b) apportions equally between the two countries the surface waters of the Rio Grande between Fort Quitman and the Gulf of Mexico. The 1922 Colorado River Compact (approved by a presidential proclamation in 1929) divided equally the Colorado River’s water between the upper basin states – Utah, Wyoming, Colorado and New Mexico – and the lower basin states – California, Nevada and Arizona. The 1938 the Rio Grande Compact signed by New Mexico, Colorado and Texas (approved by Congress in 1939.) This compact produced water-delivery agreements from Colorado to New Mexico and from New Mexico to Texas. The Upper Colorado River Basin Compact of 1948 (approved by Congress in 1949), apportioned a fraction of the Colorado River water among Colorado (51.75%), Wyoming (14%), Utah (23%), Arizona (50,000 acre-feet) and New Mexico (11.25%). This compact eventually produced the Navajo Dam and the San Juan-Chama Diversion Project. The Pecos River Compact was signed by New Mexico and Texas in 1948 and approved by Congress in 1949. The compact was intended to provide for the equitable division and apportionment of the use of the Pecos River’s water between the two states and secure and protect existing developments within the states. In particular the compact guaranteed for Texas a quantity of water available to it under the 1947 conditions. Following the 1974 Texas complaint submitted to the U.S. Supreme Court, the Pecos River Compact was revised. Water laws prevailing in the Southwest vary from state to state. To eliminate the impediments to inter-state tradable water rights, contiguous states must adopt a uniform water law, and allow private sales of water rights across state borders. The following section illustrates how users in both New Mexico and Texas lost an opportunity to increase their water supply, respectively, for 150 years. II. Particular Problems with Texas. Once, when New Mexico had a realistic chance to enhance its water supply, bureaucrats and politicians squandered it. In the late 1980s El Paso, a border city in Texas, submitted applications to drill 266 wells in the Mesilla Bolson and 60 wells in the Hueco Bolson, both in New Mexico. The bolsons are huge mines of water, and hydrologists had argued that El Paso’s return flows back to the Rio Grande would more than offset the pumping effects on the river, for 150 years. The project would have provided additional water to El Paso and New Mexico. Since El Paso is on the “wrong” side of the border, New Mexico resisted, and the project was lost in a lengthy legislative and legal process. Later, Texas returned the favor. In 1974 Texas filed a complaint against New Mexico in the U.S. Supreme Court. Texas alleged that New Mexico had breached the Pecos Compact during the period extending from 1950 to 1972 by depleting stateline flows by 1.2 million acre feet of water more than the compact allowed. New Mexico lost the case, had to compensate Texas to the tune of $14 million and had to accept an unfavorable restrictive delivery obligation. Since our water market stops at the border with Texas, only interstate negotiations can resolve this conflict. With a considerable political effort and luck, the two states could work out a compromise that would enhance the supply of water available to both states by reviving the El Paso project in exchange for updating the Pecos formula based on hydrological data that has accumulated since 1947. If we want to reduce the flow of Pecos water to the Red Bluff Reservoir, we should let Texas pump water from the Mesilla and Hueco Bolsons. In the long run, the users in the two contiguous states would benefit greatly from adopting a uniform water law and adopting free water rights trade. Schemes to enhance water supply may represent economic boondoggles. In the early 1980s, a study commissioned by the High Plains Study Council elaborated on a proposal to recharge the Ogallala aquifer by hauling water to the High Plains from distant rivers. The expected cost of importing one acre foot was in the range of $226 to $569. It did not bother those who produced the report that the net value of crops produced on an acre in Lea County would be less than the cost of importing water to irrigate that acre. For example, salt cedars, originated in parts of Eurasia and China, have been blamed for water quantity and quality problems. The roots of salt cedars stretch out in order to find water, and consequently they dry up aquifers and lower water tables. The evapotranspiration rates of salt cedars by far exceed those of native species-cottonwood, willow and arrowweed. Proposals to remove salt cedars in order to enhance our water supply should be studied. Unless a comprehensive and serious study can demonstrate that the economic benefits of salt cedars removal exceed the economic costs, a project of salt cedars removal should be dismissed. In other words, we should investigate whether the net value of crops produced on an acre in some valley along the Rio Grande would exceed the cost of removing salt cedars to free up the water required to irrigate that acre. In an ideal market many consumers would buy water in the marketplace from many producers, subject to perfect water laws. Because of the complex hydrologic aspects of water grids in densely populated areas, as well as the large scale economies of treatment plants, municipal water systems, like local telephone providers, are natural monopolies. Under these conditions an enlightened municipality should set the price of water equal to the marginal cost of pumping and delivering plus the annualized cost of water rights. If at such a price a municipality has an excess supply over the quantity demanded, it could either store, rent to others or sell some of its water rights. Alternatively, given a water shortage, it could either store, rent from others or purchase some water rights on the open market. Normally, economic growth leads to municipal demand intensification and politicians, instead of purchasing water rights from farmers, tend ride on popular tides generated by water conservation advocates. We should resist social engineering , e.g. proposing a comprehensive conservation efforts that will outline specific plans to install efficient plumbing fixtures in our bathrooms and invest in low water-use landscaping in our backyards. Such conservation mandates result in economic losses. Suppose, to use an illustration from simple Economics, that a mandated replacement of your current lush landscaping by xeriscaping would save you $150 worth of annual lawn watering. Assuming an investment of $5,000 in xeriscaping. Then, at an interest rate of 4 percent and a life of 20 years, it will cost you annually $368-a net loss of $218. Moreover, you value the elegance of xeriscaping relative to the charm of lush landscaping at less than $218: otherwise mandated conservation would be superfluous for you. Note finally that public water use accounts for a minute fraction of the total water depletion in New Mexico. The abundance of water use in agriculture indicates that a small transfer of water from agriculture to municipalities will sustain economic growth in our cities at a lower price increase far into the future. 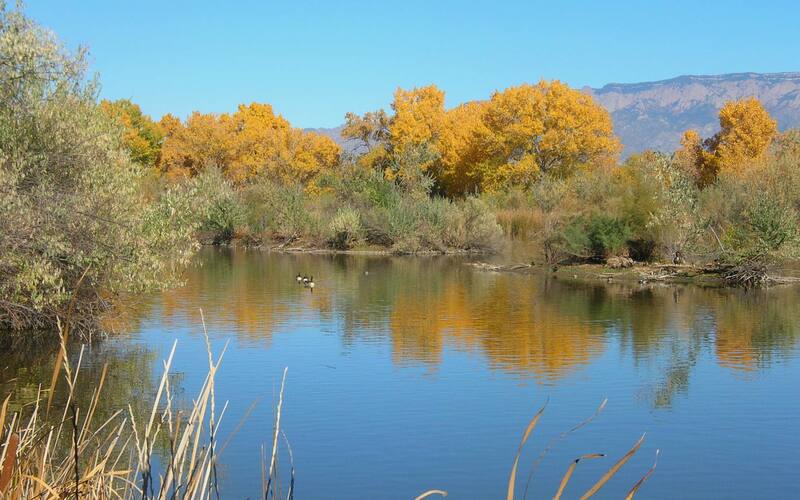 New Mexico’s water law is imperfect in that it does not recognize rights to instream flows. The demand for instream flows is derived from various recreation activities. The problem has become acute in recent years because the demand for instream flows has intensified with a rising standard of living, and also the need to protect the endangered Silvery Minnow. When drought conditions are mild, opportunities exist to manage the water in upstream reservoirs to help the Silvery Minnow without thrusting the entire burden on a singled-out group of irrigators. This may not be the case in low-flow years. Whether or not we accept the endangered-species philosophy, we should resist putting the burden of protecting the Silvery Minnow on a singled-out group of irrigators, or other groups of users. 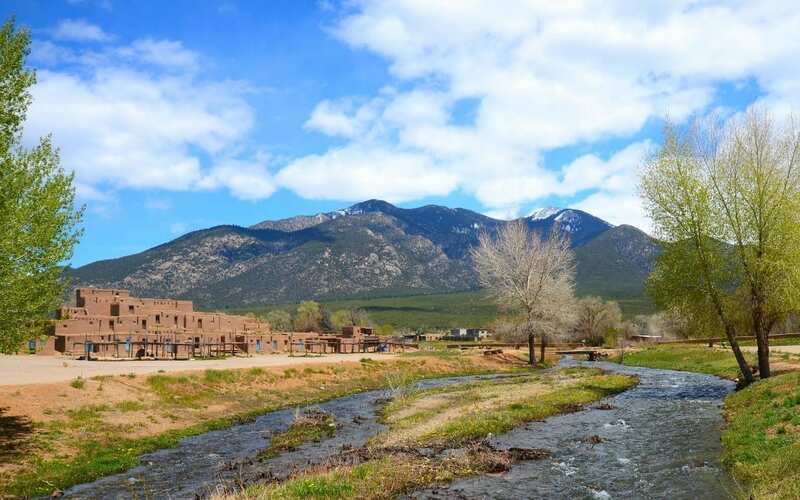 One possible solution is to upgrade the water law in New Mexico to allow a limited state acquisition of water rights on the open market for the purpose of enhancing stream flows during drought years. In high-flow years, the state could either store its water, or rent it to private users. Another solution would be for the state government, or better the federal government, to purchase from water users low-flow options on the open market. A low-flow options for one acre-foot is a legal contract requiring the participating water user to diminish his or her diversion from the stream (Rio Grande) by one acre foot when the snow pack in March is below a level which is specified by the option contract.